Bring your best and furriest friend along to share the fun. Hiking is often more fun with friends, so why not bring your best and furriest friend along to share the fun? Prepare your dog by ensuring that the specific trail is a good fit for his/her age and physical fitness level. Always remember to bring a leash and plenty of water. Here are some dog-friendly places for you and Rover to explore together. 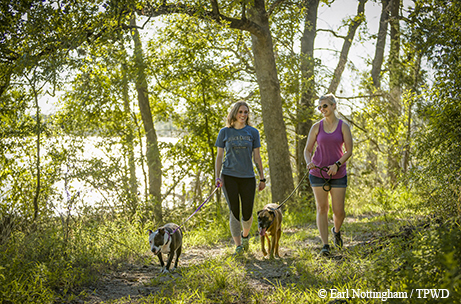 A 13-mile trail connects Lake Somerville’s two state park units for you and your adventurous pup. Dense stands of trees alternate with open grasslands, with occasional glimpses of the lake revealing themselves. 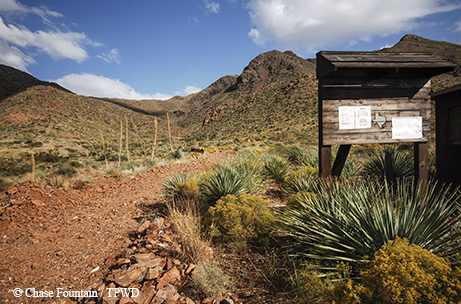 Shelters along the trail provide shade and maps. While this is the state’s longest continuously marked and maintained footpath (128 miles), shorter sections are available. The terrain is fairly flat and completely forested, with several watery wonders. 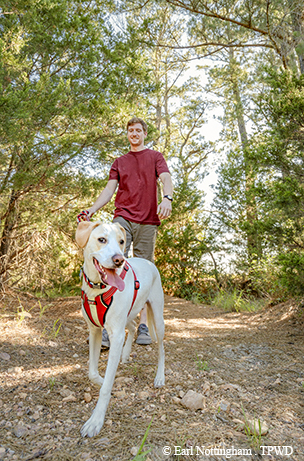 Nothing gets a tail wagging like offering your dog an entire mountain range to explore, especially in the largest urban wilderness park in the country. Your dog will love the rugged trails, with a variety of bird songs echoing throughout the area. 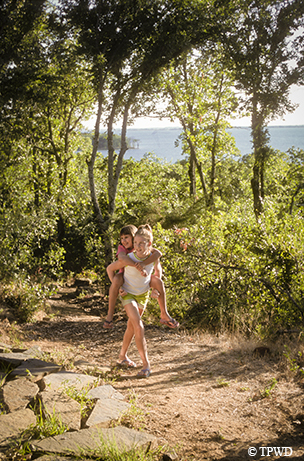 This park offers great walking paths and fun in the water. 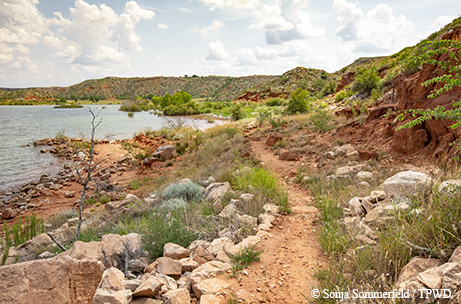 The South Turkey Creek Trail winds along the lake through rolling hills and canyons and opens up onto several small beach areas for you and your pup to enjoy. You and your dog will appreciate watching the wild turkeys and deer roam the trails and canyons. 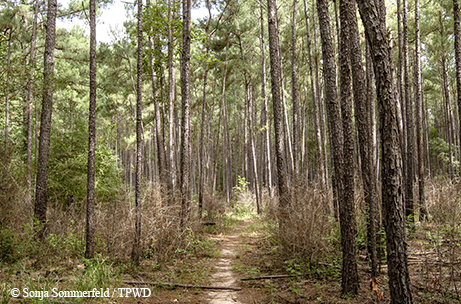 The 1,100-acre nature park has more than 15 miles of trails and contains elements of four regions: Post Oak Savannah, Blackland Prairie, East Texas Pineywoods and Central Texas Plateau. With that much variety, there’s plenty to see and sniff. If you are planning on taking your pooch on an overnight camping trip, this park is known for being among the best. There’s plenty of shoreline here, and plenty of shade. The terrain is mostly gentle, and your dog’s paws will appreciate the loose-dirt trails.